Rahul Gandhi promises Universal Basic Income; what does it mean, how will it benefit people? Rahul Gandhi's promise of universal basic income is seen as counter to the BJP's recent success in passing an amendment bill on 10 per cent reservation to the economically weaker sections from the upper castes. 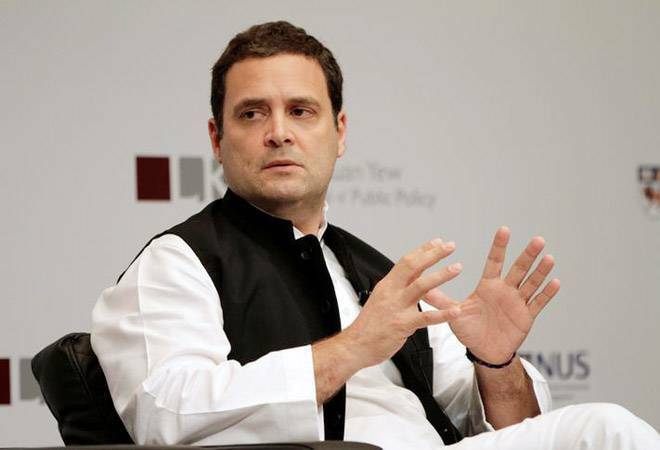 Congress President Rahul Gandhi on Monday said the Congress, if voted to power, will announce Universal Basic Income (UBI) for all poor families. During the 'Kisaan Abhaar Sammelan' held in Chhattisgarh to express gratitude to people for voting the party to power in the state, Rahul said Congress would ensure that the RBI allowed certain basic income for every individual in the country. "The Congress has decided to take a historic decision... The Congress-led government is going to give a minimum income guarantee. This means each poor person in India will have a minimum income. This means there will be no hungry, poor people in India," Gandhi said. Rahul Gandhi's promise of universal basic income is seen as counter to the BJP's recent success in passing an amendment bill on 10 per cent reservation for the economically weak in both the Houses. Rahul's remarks on UBI could add fuel to more populist promises before the upcoming Lok Sabha elections, say experts. But what is Universal Basic Income? Under Universal Basic Income (UBI) a specific sum of money is provided to all citizens of a country regardless of their income, resources or employment status. In India, the Economic Survey 2016-17 broached the idea of a sovereign wealth fund and citizen's dividend - a type of UBI. As per the Economic Survey of 2016-17, the UBI, if implemented, would cost the government around 4-5 per cent of the GDP and would see 70 per cent of the population receive Rs 650 per month. However, it also says that the process of determining a UBI amount is not a one-time exercise as its real value tends to be determined by inflation. The Economic Survey 2016-17 said that any such scheme would cost 4.9 per cent of the country's GDP to the state exchequer. This is against 5.2 per cent of the GDP spent on all 950 central sector and centrally sponsored sub-schemes (actual allocation of 2016-17). "So, fiscal space exists - but only if UBI replaces all existing central government schemes and the UBI is transferred through DBT (Direct Benefit Transfer) using Aadhaar," it said. Another problem is leakages, says the survey, adding that "given the amount of cash that will flow through the system under the UBI and the fungible nature of money, one could imagine a perverse equilibrium where UBI results in greater capture by corrupt actors". Global business leaders like SpaceX founder Elon Musk, Facebook founder Mark Zuckerberg, and Virgin Group Richard Branson are some of the vocal supporters of the Universal Basic Income (UBI). Some countries where such schemes have been launched include Canada, Barcelona, Scotland and Finland. Birthday boy Mukesh Ambani is not an MBA; pure vegetarian, teetotaller has salary frozen at Rs 15 cr pa since 2009!